The Amazon rainforest is filled with all sorts of surprises. It takes a brave explorer to travel deep into the Amazonian jungle and tackle whatever struggles are thrown up against them, be that the elements, savage tribesman, or wild animals. 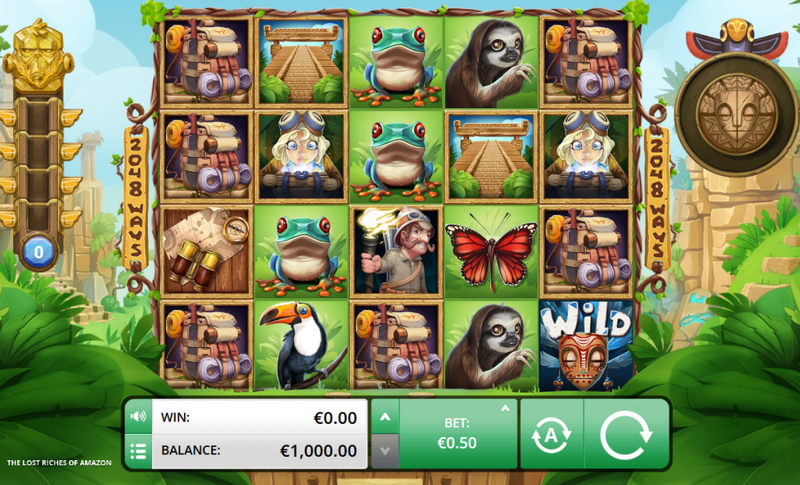 Lost riches of the Amazon is a wonderful online slots game that takes you on a jungle adventure that will certainly have you reeling and returning for more. Having only started their business in 2015, Foxium certainly doesn’t have years of experience but the content they have provided in their short time certainly counteracts that. It has recently signed a distributions contract with two of the mega-giants in the casino-gaming industry, Microgaming and NYX Interactive, so their potential to do well as well and truly gone beyond expectations for the duration of time that they have existed! 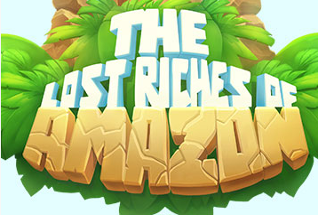 The Lost Riches of Amazon is just one of their delectable games to enjoy here at slot games online casino, so come and find out for yourself with what makes this developer so attractive in the short time of its existence! It will be easy to lose yourself in this immersive jungle themed slot-game, as the Amazon jungle is the world’s biggest rainforest and larger than the next 2 biggest rainforests combined! It attracts a whole array of creatures, boasting a habitat for over 10 million species! Unfortunately, only a handful of these animals will feature in this game, but fortunately, getting yourself lost in this slot-game may just be the best thing you do, as there is an abundance of ways to win cash rewards! In fact, there is a wild 2048 ways in which to win, so the possibilities of entertainment and winning are truly endless! With minimum bets starting at just 50p and the max £125, Foxium have thought about everybody’s tastes and adventure levels! 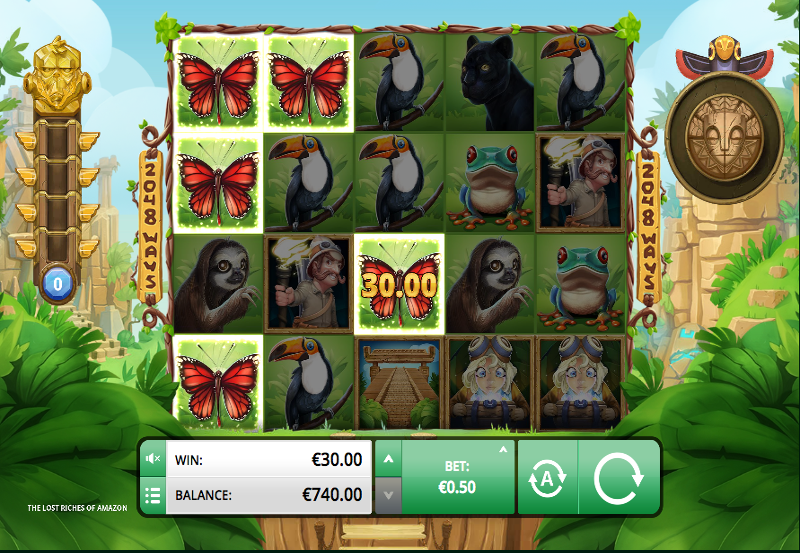 What is strikingly different in this slot-game compared with others is the 4x5 grid instead of the typical 3x5 one, which means there is an extra opportunity to increase your winnings. Also, there are no card values and instead, every symbol relates to the amazon jungle in some way, so Foxium are truly jam-packing this theme into every corner! The wild symbol in this game serves a different purpose to what you are used to as well, so do not overlook this animalistic feature! Instead of having to have so many on the reels at once, they are collectable in this game and the objective is to find 12 to fill the dial up! Once this has been fulfilled, the wild symbol will control the middle reel and 3 other spaces, chosen randomly and as a result, you can expect small winnings to come in from all over. There is another collectable feature too, and depending on how many you find, depends on the mini-game that you have unlocked. These mini-games include, a matching game and a wheel of fortune round and It is the golden monkey heads that you want to keep an eye out for and only 10 are needed to unlock one of these mini-games! Although a fairly simple game in terms of there not being a huge amount of bonus features, this game deserves a lot of merit for its ability to capture you into this jungle-themed world, and with the potential to collect your wilds instead of having them all appear on the screen at the same time, this is an exciting feature, not seen very often in casino games! If you enjoyed The Lost Riches of Amazon then you might also like Drive: Multiplier Mayhem slots game.